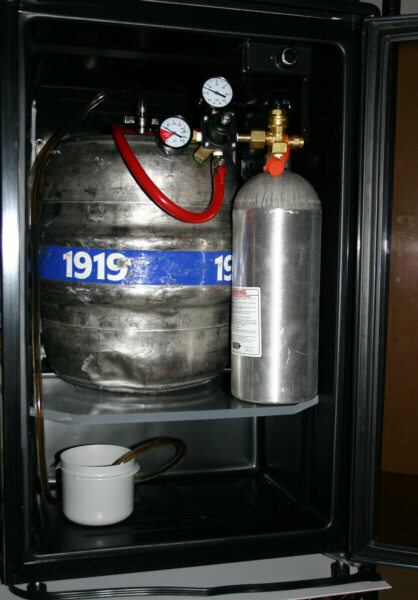 My kids gave me a 1919 Root Beer Keg and CO2 tap for Christmas and a gift card for a fridge to keep it cold, but left to me to find the fridge and modify it so that everything would fit. This is the finished project and the root beer tastes so good. (c) Copyright 2004 by Red Castle, Inc. Red Castle, Inc. - P.O. Box 1841 - Saint Cloud, MN 56302-1841 All Rights Reserved.